Do you have a 4-year degree, Master’s or PhD? Field engineers are jobsite leaders, responsible for designing, executing and evaluating wellsite operations. They represent our company by interacting with customers and delivering front-line technical services and solutions across our drilling, evaluation, completion, and production technologies. 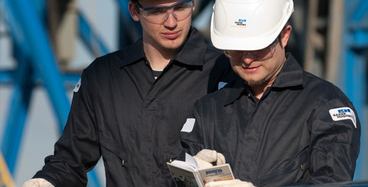 A field engineering career can be a rewarding one at Baker Hughes. We ensure that our graduate engineers are happy at work and are developing in their roles. Through our 3-year structured field engineer development program (FEDP), you will gain the knowledge and skills needed to thrive in our dynamic work environment, quickly becoming competent with our technologies and processes. Much of your development will be in the field – on rigsites on land or offshore – and achieved through an applied, hands-on approach. You will also be assigned a mentor to provide you with support and guidance throughout the program. Longer term, you’ll have the opportunity to progress into a variety of leadership roles. You may elect to stay and build your career in the field, or you can aim for a position in operations management, product development or sales. Supply chain within Baker Hughes is responsible for obtaining raw materials and components, transforming them into products and services and moving them from our suppliers to our customers. You’ll be involved in tasks ranging from purchasing and strategic sourcing to materials analysis and global logistics. Once you join Baker Hughes, you will receive the support and development guidance you need from an assigned mentor to help you through your early career. You will also undergo a structured, 3-year rotational development program consisting of theoretical learning, e-learning modules, and hands-on learning. After completing the program, you will have gained skills in a range of critical abilities so you can build and advance your career within our supply chain group. You’ll begin a minimum 2-year assignment, taking on responsibility within the organization. Longer term, potential career opportunities include, but are not limited to, industrial engineering, manufacturing engineering, global logistics, project management, strategic sourcing, materials management, purchasing, coordination, trade compliance, plant management, and operations management. Our Products and Technology group continually designs, develops and offers new products and services to our customers. These products and services are built on research and development, product application, data interpretation, and consultancy. If you have a passion for technology and want to build your career in an engineering or scientific field, Baker Hughes could be the perfect choice. Training varies according to discipline and business segment focus, but all technology graduates go through the structured engineer development program (EDP) which provides you with a good foundational understanding of the oil and gas industry: economics, petroleum geology, exploration, drilling, completions and production. There are a variety of technical courses to enable you to build your skills in the first 3 to 5 years. You will have the opportunity to develop leadership and management skills as well as to network with your peers around the globe. During your first few years, you could find yourself working in research, product development, product design, product engineering, technical support or product management. In the longer term, you will be able to choose between a number of different career paths – following a technical route or moving into a managerial role. We’re always on the lookout for talent to build our teams in finance, information technology (IT), sales and marketing, human resources, health, safety, environment, and security (HSE&S) and other functions.